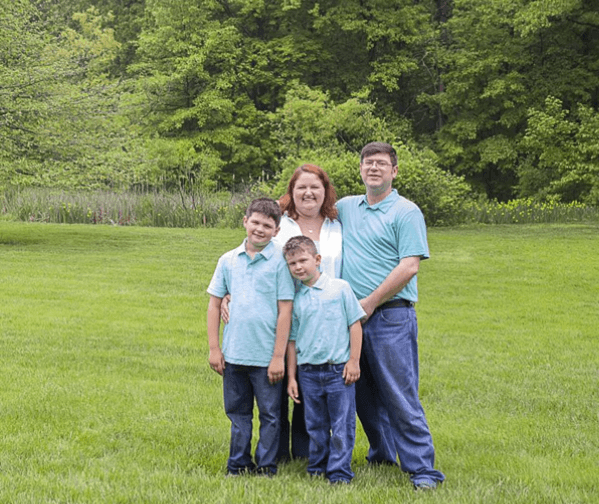 Patrick Cusick’s journey with MDA — and with muscular dystrophy — started 12 years ago, in, of all places, a life insurance office. Twenty-nine at the time, the Ohio native and his wife were expecting their first child, and making preparations as parents (or soon-to-be parents) do. Securing life insurance meant taking some medical tests; Pat’s came back indicating his liver enzymes were elevated. A biopsy showed his liver was healthy, but cardiac test results prompted a doctor to order a muscle biopsy. The diagnosis — Becker muscular dystrophy (BMD) — was a difficult one for Pat to accept. And it didn’t last. Especially not when Pat got a call from Dr. Jerry Mendell at Nationwide Children’s Hospital in Columbus, Ohio, about a new gene therapy trial — at the time, the first of its kind. “I was the first person with BMD to receive treatment, and the seventh overall in the world,” Pat says. He was making history, for other patients but also for himself. 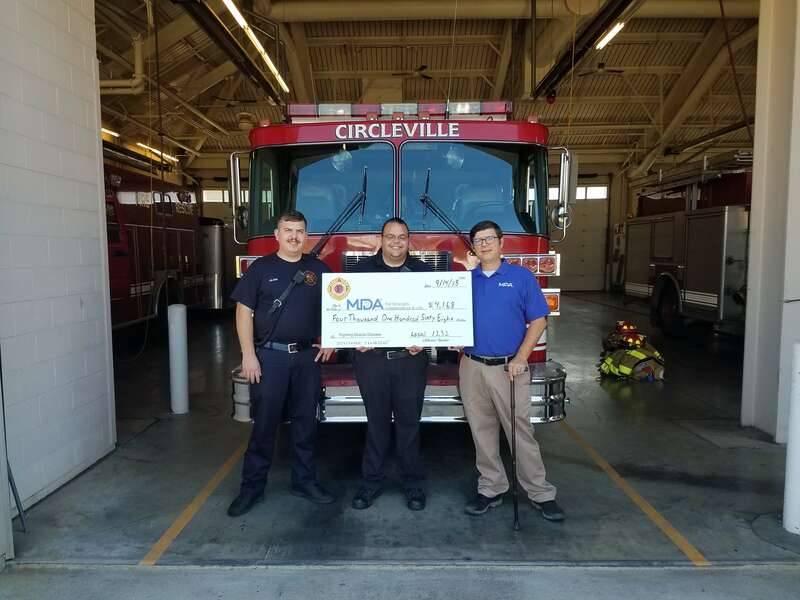 Patrick at a local Fill the Boot check presentation. For weeks and months during the trial, Pat would visit the MDA Care Center at Nationwide Children’s Hospital. He started to pay attention in the waiting room. After his first clinical trial, Pat signed on for another between Nationwide and the Ohio State University Hospital. Next, he volunteered at MDA Summer Camp, and the number of people he knew with muscle disease, he says, took off. So did a new career. 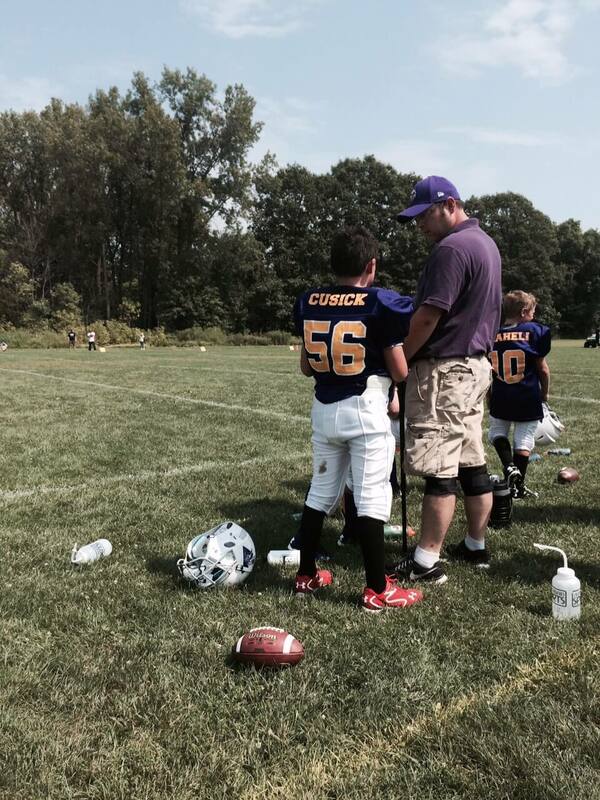 Patrick coaching his son’s football team. Pat has a degree in journalism and a background in sales, which he thought could apply to fundraising. MDA agreed — Pat is now the executive director of the Columbus MDA office, and a friend to families facing new diagnoses like his own. Pat regularly connects with families on the phone and in person. He gets asked a lot of questions about exercise and nutrition, how to find specialists, how he navigated college, his experiences with supplements and steroids and clinical trials. He tries to connect families within the MDA community, too, so they have a wider support system. And most of all, he encourages families to support loved ones living with BMD in pursuing their passions.